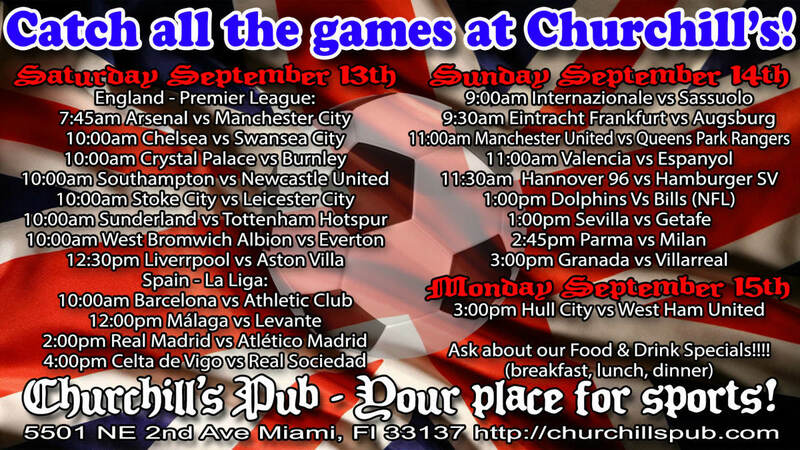 English Premier League Continues at Churchill's Pub! We will be open early for all the games! 7:45 am on Saturday! Come try our new breakfast specials!! !